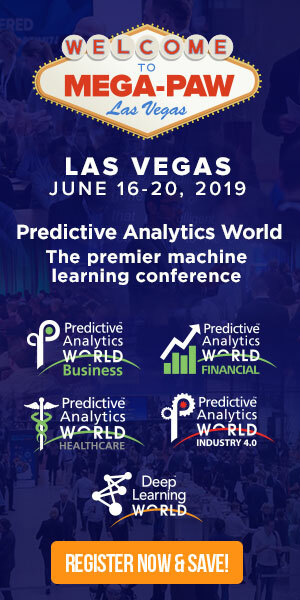 In anticipation of his upcoming conference presentation at Predictive Analytics World for Healthcare Las Vegas, June 16-20, 2019, we asked Cal Zemelman, Director, Lead Data Scientist at CVP, a few questions about their deployment of predictive analytics. Catch a glimpse of his presentation, Explainable AI – What Factors are Important for Hospital Readmission?, and see what’s in store at the PAW Healthcare conference in Las Vegas. A: We use ML for a variety of applications in healthcare. For this presentation, we’ll be talking about using it for predicting hospital readmissions. A study commissioned by Medicare in 2011 found there were approximately $17 billion in avoidable readmissions annually. A: Whether or not a patient with a certain condition might be readmitted or not. We initially focused on complications due to diabetes and are now looking into pneumonia. A: By predicting who might be readmitted for a certain condition, we can design one or more interventions that may prevent or minimize the cost. For example, patients at a high likelihood of readmission for complications due to diabetes could receive a follow up call from a nurse checking on if they are managing their insulin levels well. A: Our first proof of concept model was 66% accurate on a hold-out dataset. A: I think radiology and other use cases where AI/ML can be used to analyze an image have been the most successful so far. I think it is only a matter of years before most large health/hospital systems are using predictive analytics for a dozen different initiatives. A: We are going to break open the “black box” of an ML model and look at what factors increased the probability of hospital readmission at both the individual case and overall levels. 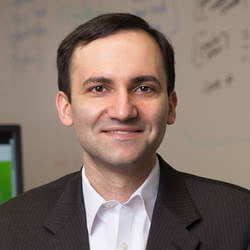 Don’t miss Cal’s presentation, Explainable AI – What Factors are Important for Hospital Readmission?, at PAW Healthcare on Tuesday, June 18, 2019 from 2:40 to 3:20 PM. Click here to register for attendance.